This is a sponsored post by Babbleboxx.com on behalf of Healthy Choice. 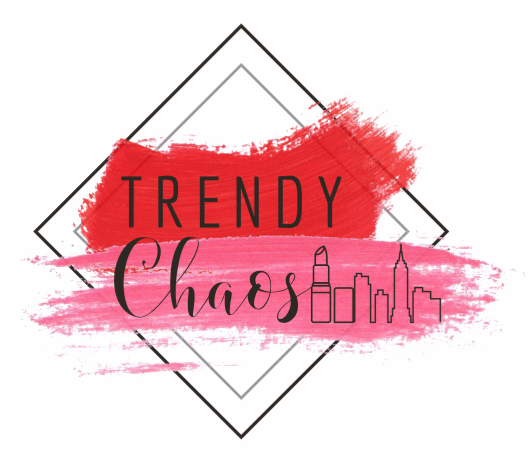 Thank you for supporting our Trendy Chaos. Gone are the noisemakers, and all the confetti has been cleaned up, except for those lingering pieces inside your sofa. Where is everyone you ask? At the gym of course. Everyone is all new year, new attitude, new goals, new beginnings, new starts. A wave of health and wellness is hitting us and it’s hard not to feel the swell. Meanwhile I’m all, mama doesn’t have time for that! Besides we all know abs are made in the kitchen. If you ever see me on a regular day, I’m probably moving at the speed of rocket, hands full with whoever’s lunch box that’s been forgotten, my purse that’s overspilling with that toy nobody likes anymore thanks to the technology takeover! Along with a kale shake that isn’t enough for this mama. That’s just a regular day, but it’s definitely one that needs lots of energy! Eating well is the answer to making sure I am charged for whatever my schedule includes, and Healthy Choice makes that option easy. Offering Power Bowls for a morning start, to their vegetarian and vegan bowls, they’ve got me covered for my nutritional needs. Making their products easy to prepare, I can eat on the go and not worry about the waste, since every bowl is made from a recyclable plant-based fiber. All recipes include a base of grains, leafy greens, and proteins, to ensure a well balanced meal that doesn’t shy from a flavorful punch. No more kale green smoothies, and pass me a napkin, cause I feel unstoppabowl. I am starting my day right, I’m saying “Good Morning!” to a Healthy Choice Morning Bowl! With each Power Bowl providing a blend of nutritious ingredients to bring me the ultimate breakfast balance. Creating flavorful combinations with ancient grains, steel cut oats, and leafy greens. Each flavor features a combination of vegetables, legumes and whole grains, but of course I have my favorites. For a morning power bowl I am reaching in my freezer for the Healthy Choice Pesto and Egg White Scramble. This batch of wholesome goodness includes egg whites with white kidney beans and vegetables served on top of steel cut oats, farro, buckwheat, and red quinoa with a basil pesto sauce topped with this Italian’s favorite parmesan cheese. For lunch I am unpacking my own lunch bag for the Cauliflower Curry vegan Power Bowl. Prepped to pull me out of any time crunch. Filled with lentils and cauliflower with chard, kale and spinach served on top of brown and red rice, red quinoa and black barley with a spicy curry sauce. Of course, which ever combination you choose each flavor is a mix of veggies, whole grains, and legumes to create a savory symphony. Providing a balanced source of protein and fiber, let your lifestyle choose healthy. Every recipe is made with thoughtful ingredients and vibrant flavors to ensure that your “buon appetitio” is balanced. Which combination choice from the full list of morning, as well as vegan and vegetarian power bowls, would you choose as a Healthy Choice?